How do you define right and wrong in PR? 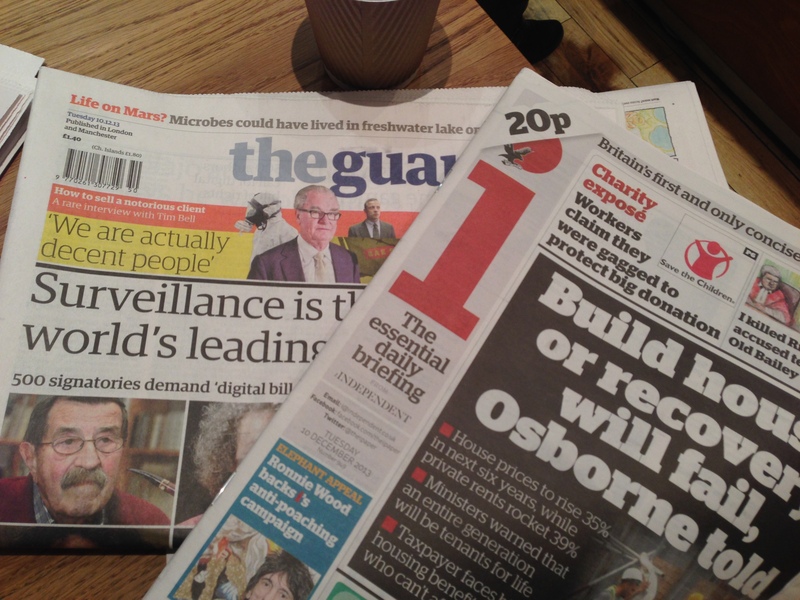 Yesterday morning’s papers showed two different sides of PR. While the boss of Bell Pottinger represents dictators claimed his firm are decent people in the Guardian, Save the Children are alleged to be supressing news stories to curry favour with corporate donors in the Independent. So how do you define right and wrong in PR? The Guardian led with a banner trailing a rare interview with the man who taught Thatcher how to pretend to relax and founder of PR firm Bell Pottinger, Lord Tim Bell. This man is portrayed by the left as evil incarnate and has a well recorded track record of defending the indefensible. To firms like Lord Bell’s, a dodgy dossier can be the basis of a lucrative brief and they are not alone. As the Guardian points out, PR firms across the country are busy defending clients ranging from sweat shops to dictators. We’ve never been approached by a leftwing government, that I’m aware of. You don’t want an adviser that doesn’t agree with you. One PR who has learned the hard way that you need to agree with your organisation featured on the Independent and i front pages. The former Save the Children head of press has turned whistle blower on his charity’s dealings with big business and claims that, in order to safeguard corporate donations, he was ordered to spike a news story criticising energy firms. Save the Children may well deny this. But just as any organisation can use busy news days to sneak out announcements they don’t want attention for (oh come on, everyone knows it still happens), so all charities will make sacrifices to keep their donors happy. Charities do not have a monopoly on ethics and principles – and just as there will always be politics in charity campaigns, there will always be money. In essence, yesterday’s front pages told us that sometimes those we believe are amoral have princples and those charities we see as saintly are as easy to buy as any other organisation. But throughout both articles what is clear is that who you decide to work for will always remain a personal decision. So just how do you define right and wrong in PR? It simply comes down to your own personal beliefs. You’re right there is lots to think about on what is right or wrong. I’d also add that if an organisation, person, government is doing wrong or has behaved badly in the past it’s not a reason to not work with them. If they genuinely want to change they legitimately need expert help to do so. Refusing to help them can therefore help perpetuate the bad behaviour. Public relations is about reputation and reputation is mainly a result of what you do. If they genuinely desire to change then it can be legitimate to work with them, if they simply want to spin and continue then it isn’t.